A whopping 1.5 billion riyals is the average spend by Yemeni telecommunications companies such as Sabafon, Yemen Mobile and MTN in less than six months of the year 2018, advocating the continuation of the war in Yemen, according to Yemen’s Lawyers Against Corruption Network. The anti-corruption network urged in an official and urgent message to the United Nations, the UN envoy to Yemen, Martin Griffiths, and all the international parties supporting peace in Yemen, to urgently take legal action against these companies, which have become part of the system fueling and perpetuating war and undermining peace. 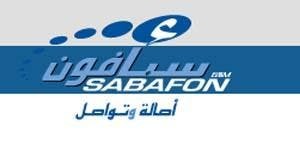 Sabafon works on supporting the continuation of the war in Yemen and the sabotaging of peace initiatives, through sending texts to its subscribers to support the war effort, popular mobilization, military manufacturing and other messages in support of the war, according to the network. It added that over 72 million text messages were sent by Sabafon Mobile to its subscribers, estimated at more than 4 million. These messages support the continuation of the war in Yemen, indifferent to the country’s catastrophic fall in all respects which made it classified among the list of the 10 most dangerous countries in the world for human life, with the most impoverished and most miserable state among other descriptions that pushed Yemen down the ladder. The Yemeni network further revealed that more than 288 million Yemeni riyals was contributed by Sabafon mobile to support the continuation of the war in Yemen during the period of 4 months and 19 days of this year 2018, with more than 72 million messages calling on Yemenis and urging them to fight and support the military machine that kill Yemenis and destroy the country. Yemen Mobile is also one of the parties supporting the continuation of the war in Yemen, and within a period not exceeding six months of this year, the company sent to each of its subscribers separately about 40 messages calling for support of industrialization and war efforts, the network said. Furthermore, about 200 million messages were sent by Yemen Mobile to its subscribers, which exceed five million within a period of six months, with a message rate of one text in four days and six hours calling for supporting the continuation of the war in Yemen. The network also revealed that more than 800 million Yemeni riyals is the contribution of Yemen Mobile to support the continuation of the war in Yemen during the period of 170 days of the current year, without any regard to global efforts and local demands to end the fighting in Yemen and bring peace. MTN has also participated in supporting the war efforts. During the same period, it contributed more than 250 million Yemeni riyals to support the continuation of the war in Yemen by sending messages to more than 3.5 million subscribers calling them to donate for manufacturing weapons and the war effort, according to the network. 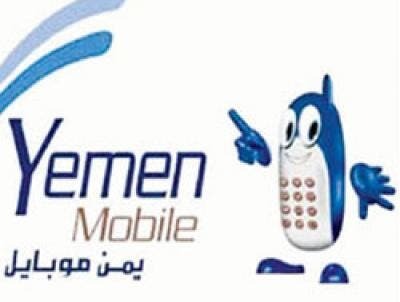 Yemen’s lLawyers Against Corruption Network added that nearly half a billion riyals is the total support from Yemeni telecoms companies Sabafon, Yemen Mobile and MTN in less than 6 months of the current year 2018, in support of the war in Yemen. Keeping in mind this period and over the nearly four years of the war, the Yemeni mobile operators have provided the same service in support of the continuation of the war amounting to more than two billion messages at a cost of more than 12 billion Yemeni riyals, according to the network. Over two billion messages in four years are urging the support of the war to destroy the societies of several countries and not just Yemen. These companies chose to contribute to supporting the continuation of the war in Yemen, dismantling the Yemeni social fabric, and not taking into account the privacy of those eager for Yemen without war, a peaceful country away from conflicts and clashes.